Sleep Well Hostel v Salvador, Brazílie: Zarezervujte nyní! 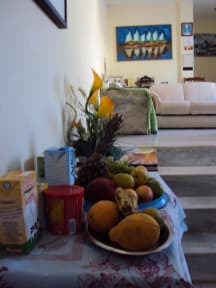 We are on the doorstep of the beach of Rio Vermelho. The famous beach where you have the pre-carnival party on 2nd. February, called Yemanja Party day. There are two little shopping centers close by. The most famous Acaraje park. 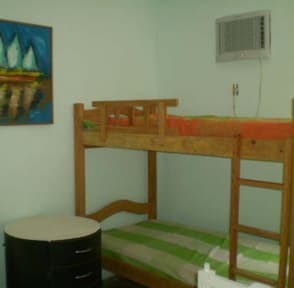 Our Hostel is very well located in a quiet area but in close, walking proximity from many lively bars and restaurants. We are in the most cultural district of Bahia, named Rio Vermelho, where Jorge Amado lived his whole life, and where the Yemanja beach party takes place. Close to the beach. We are waiting for you! Air-conditioner included. Free wi-fi. We offer towels free, internet free (wireless). Breakfast not included.